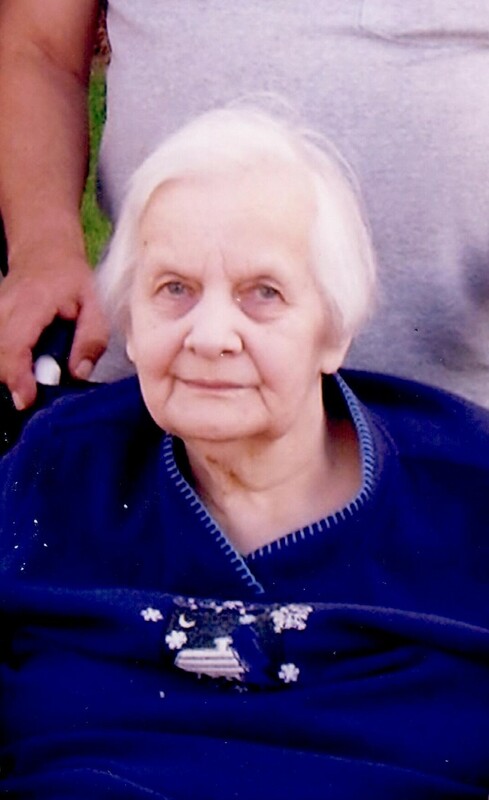 ANN B. BORYSIAK, age 92, of Wausau, WI, formerly of Thorp, WI, passed away at Benedictine Living Community, in Wausau, on Wednesday, January 16, 2019. Funeral services will be held at 10:30am on Monday, January 21, 2019 at St. Bernard - St. Hedwig's Catholic Church in Thorp. Rev. Baskaran Sandhiyagu will officiate and burial will follow in St. Bernard's Catholic Cemetery. Visitation will be held at the church, on Monday, from 9:30am until time of service. Ann Barbara Bartosiewicz was born on April 17, 1926 in the Town of Withee, rural Thorp, the daughter of Louis and Veronica (Rutkowski) Bartosiewicz. She was raised on the family farm and received her education at area schools. After completing her education, Ann was united in marriage to Frank E. Borysiak on September 15, 1945 at St. Hedwig's Catholic Church in Thorp. They moved to Chicago where Ann worked in a factory making airplane engines during WWII. They returned to Thorp after a couple of years and purchased a dairy farm in the Town of Withee, where they farmed until retiring. She moved to Wausau in 2006 and has resided there until the time of her death. She had many interests, but especially enjoyed gardening, baking, cooking, listening to "Old Time" music, her kittens and taking care of young stock on the farm. Ann is survived by her sons: Edward (Marlene) of Wausau, John and Fran, both of Thorp; two grandchildren: Jacki (Steve) LaCerte and Kevin Borysiak (Joanna Reyes); three great-grandchildren: Jaden, Ryan and Jovin; one sister: Janet (John) Turenne of Coeur D' Alene, ID; nieces, nephews, other relatives and friends. She was preceded in death by her parents; her husband, Frank, on October 14, 2002; two sisters: Mary Waichulis and Louise Skwierczynski; and one brother: Adam Bartosiewicz.